Since our ICO we’ve been hard at work getting our software applications ready for market as well as kicking off our hardware production as we look to connect the unconnected. We currently have Alpha-versions of both our chat and wallet apps available for download on the Google Play Store. We’re continuing to iterate and improve these so please do download and test them if you’re an Android user. We’re also in the process of developing the same apps for the Apple tribe, we hope to have these ready soon. Building hardware infrastructure which integrates with our communication and wallet apps is a key part of our strategy as we see this as one of the most efficient ways to help us scale quickly and efficiently in a wide-range of environments. We also believe that the tokenization system that will be introduced through our MeshEx range-extenders is a great way to start empowering our community to have more control of their data and finances. So, please read our roundup below to get an idea of what’s been going down in BlockMesh HQ! 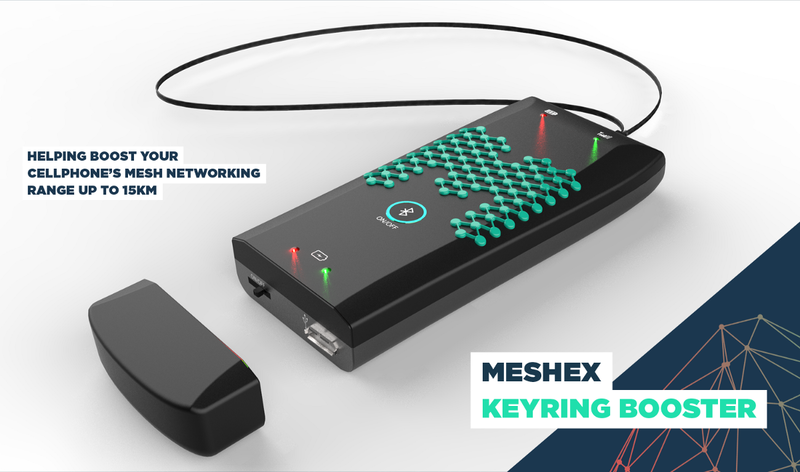 We’ve made significant progress getting our MeshEx Keyring Booster prototype ready for testing. The BlockMesh team has put hundreds of hours into the design and production of the components. We focused on keeping the unit as small as possible while maintaining a level of performance we’re proud of. 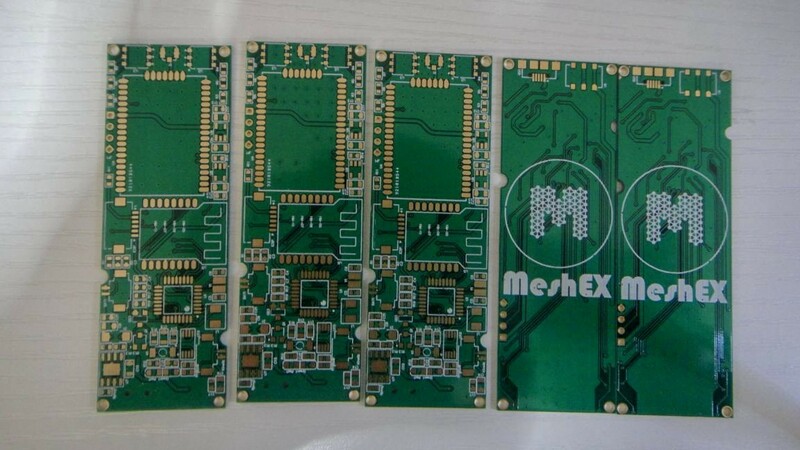 Our PCB board designs are finalized and the exterior case is almost ready for manufacturing submission. This should allow us to create prototypes for the next phase of testing within a couple weeks. We’ve received two routers from our mesh partners, Serval Projects, for testing. 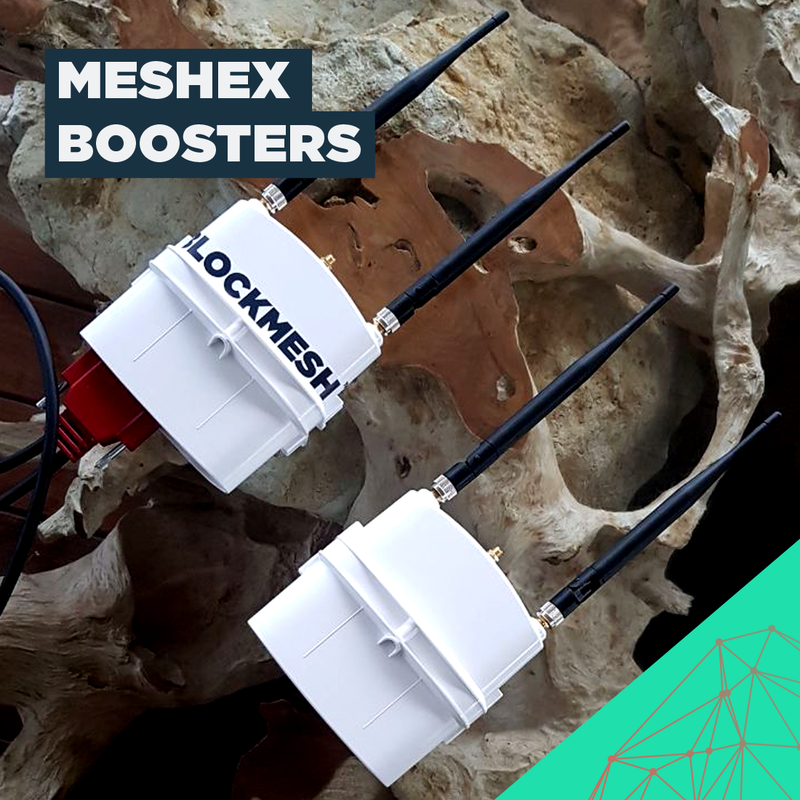 The MeshEx Long Range Boosters create a functional test network for us to trial our chat and wallet app features. The Boosters use the same unlicensed radio frequency to transmit data over a large range, namely a few miles/kilometres. To help us move forward while we develop the physical prototype it’s in our interest to proceed with as much software development as possible. We are able to do this with various hardware options currently in the market for IOT applications. This will save time in the software phase of our hardware once ready. In April, we released a short video showing the potential for a standard IOT device to transmit data, we also built a test app on Android to transmit from one device to another via two IOT devices. We’re currently building the ability for our Alpha offline chat app to send messages via these IoT devices and we expect this milestone to be reached within the next two weeks. This is a crucial turning point in BlockMesh’s rollout plan as it will allow us to distribute hardware to willing community members who want to help create the first mesh networks. 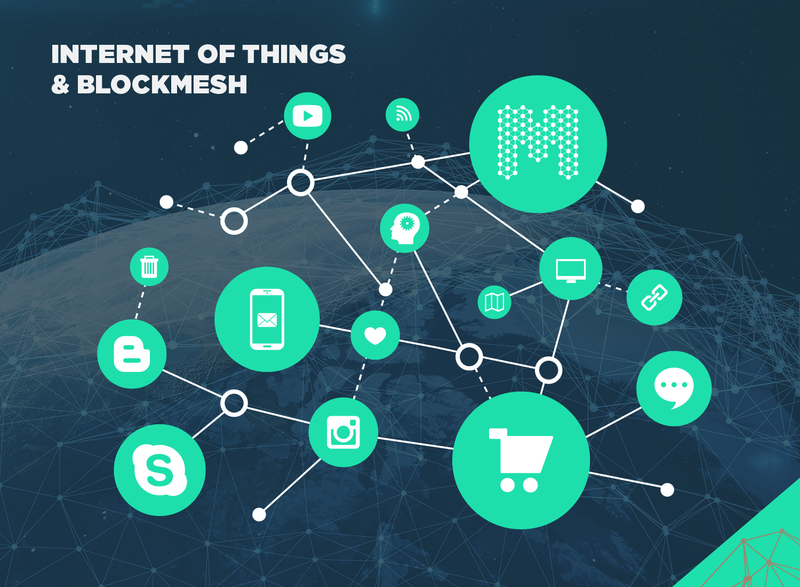 We’ve also begun development of custom firmware that will later define the BlockMesh portal and platform parameters for the IOT industry to develop and use. The past month has seen significant improvement in our chat app with the integration of an online server to allow for messages to connect to the users online. Thus, we can now send messages both online and offline. We’re also working on an exciting build which will allow for messages to flow via the BlockMesh network to an online device which will relay messages to a currently disconnected (offline) BlockMesh network. This means we could connect a BlockMesh network in Mauritius to a BlockMesh network in South Africa, with no physical infrastructure such as wires or lines. You can only imagine how crucial this would be for growth, scalability and global adoption. That said, this feature is obviously very complex and will take time to implement completely, we also have to wait for our hardware to catch-up with our software to test a complete network. 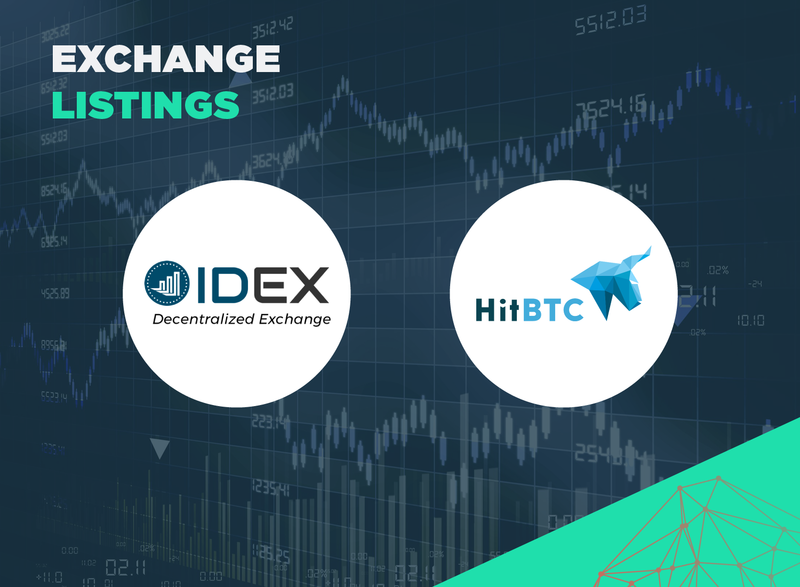 We’re listed on two major exchanges, HitBTC and IDEX. 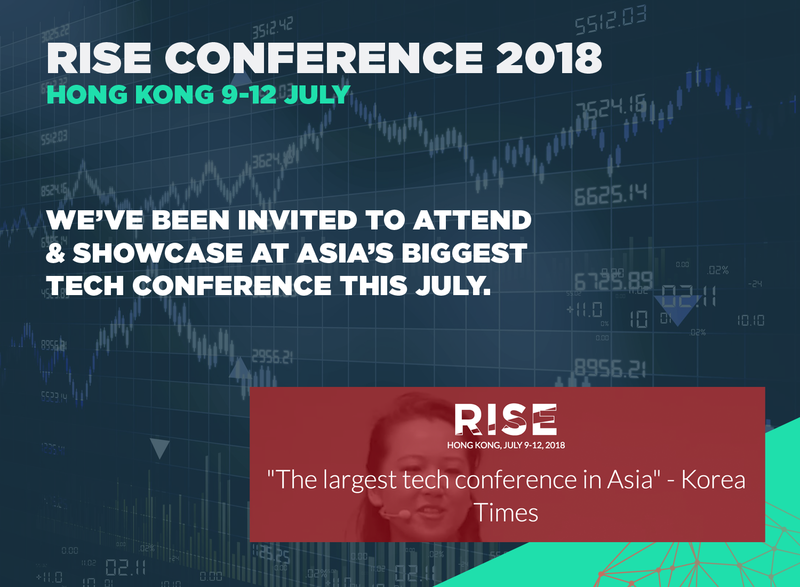 BlockMesh has been invited to attend and showcase our startup and tech at Rise, Asia’s biggest tech conference. We cannot wait to join the world’s brightest minds in Hong Kong this July. Meet us in Hong Kong?